Last night, a thoughtful ward member brought us a delicious dinner as an expression of gratitude for our service over the last years—to me as bishop and to my wife who really was the one who made it possible for me to be a bishop. 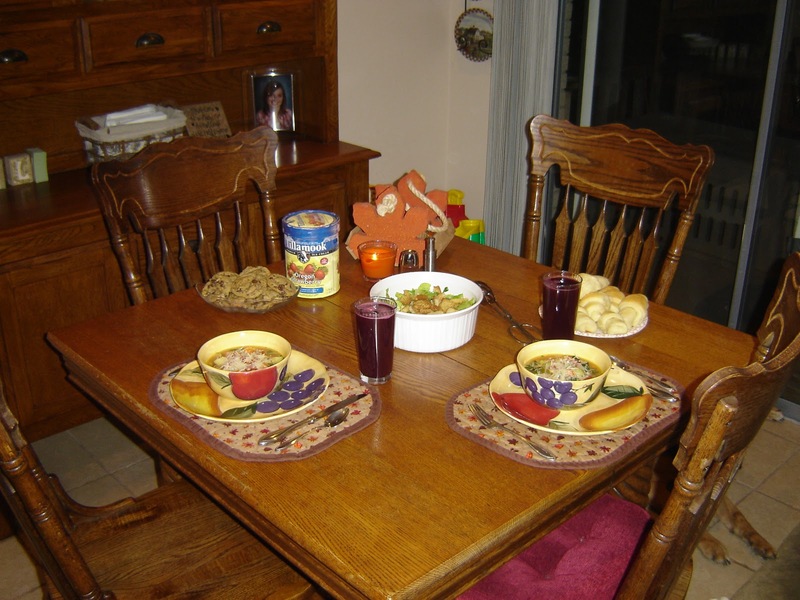 It was the first time I remember having a dinner brought in to our family when someone in our home wasn’t sick. My wife and I ate quietly by candlelight because our teenage daughter was babysitting. I told her, “I am so full, but I don’t want to stop eating.” The food was wonderful, and so was the moment. To be recognized, acknowledged and appreciated makes you feel like you could find the strength to go on for another five years or maybe 10. On Thursday night, the night before, right after a large multi-stake meeting, I cleaned out my office at the church. I gathered all my personal effects in a box, including a statue of Christ that has silently watched over everything that has happened in that office from the very beginning. Some scripture marking pencils, nail clippers, a comb, a calculator, a box of mints, notes from adults and Valentines from children, the small things that you need to get along when you practically live at the church. My wife came later to pick me up. It would be difficult to walk home with a box of personal items, my briefcase, and my large scriptures. She helped me vacuum the office. I moved the folding chairs and the bishop’s table as she ran the vacuum. As we left, the office looked clean but felt starkly empty. Two helium balloons, still buoyant, had been left taped to the table since last Sunday’s surprise birthday party. I handed the blue balloon to my wife and I took the orange one, and asked her to step outside for a little ceremony. We walked on the lawn to the edge of the empty parking lot. A light, cool breeze was blowing from the east. The evening was unseasonably warm. Cristi offered some similar sentiments. Then we let our balloons go together into the night. They drifted off on the breeze like a tandem prayer, carrying heartfelt wishes to heaven, higher and higher, until we could hardly make them out in the dark. I don’t know how high our balloons went, or where they landed, or even if they have landed yet. All I know is that a gentle breeze carried them unnoticed into the sky, and that I don’t need to know the end in order to begin once again. Love this and love what a thoughtful gesture that was from one member of your ward family. The Lord will still bless you and sustain you as you make the transition to being a member instead of a Bishop. Life is good. Sometimes the journey is hard, but the path goes on and it is up to each of us to serve however we are called. I know that you did an amazing job in His name and that you will continue to do so.